More Reporting & Better Editing! Updates were made to both the Funnel Reporting & Funnel Editing Experience! 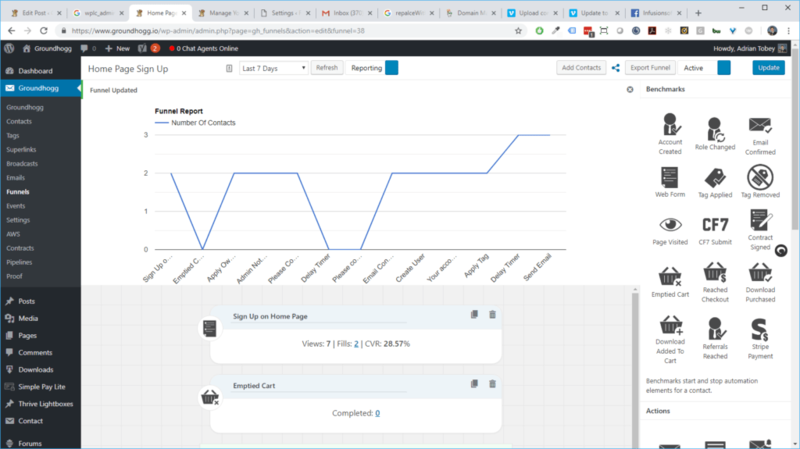 When in the funnel reporting view, there will now be a graph at the top of the screen highlighting the number of contacts which have visited each level of your funnel. This provides a quick grasp of where the leaks in your funnel might be. In addition, a new UI has been provided to make building forms significantly easier. 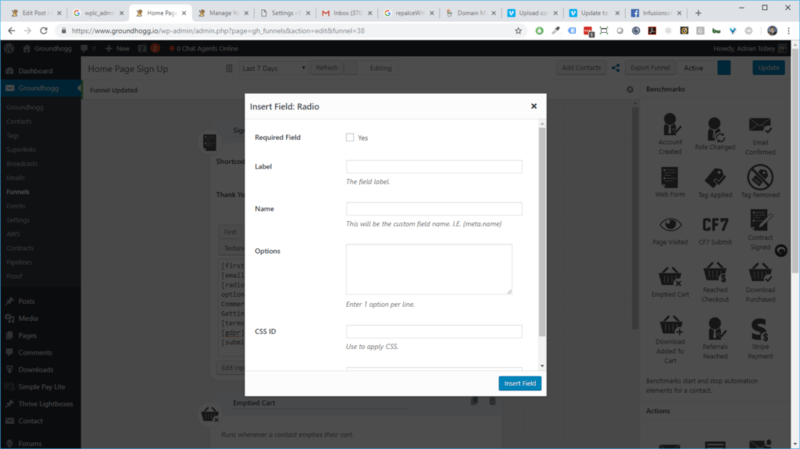 In a similar fashion to contact form 7, adding a field will open up a modal and allow you to enter the attributes of your field.